An 88th minute penalty gave Crystal Palace an equaliser this morning at Gawthorpe in the U18 Professional Development League and robbed Burnley of what would have been a fully deserved win. Palace are running away with the south group in this league and that suggested there would be a tough ninety minutes in store for our youth team who had Andy Farrell on the touchline in the absence of Danny Cadamarteri who is currently with the England under-18 group. It certainly wasn’t an easy game, and Palace look a decent side even though they seemed to have developed the trait some of their first teamers have of, shall we say, going down a little bit too easily. But this was an outstanding Burnley performance that deserved a much, much better return and would have got one had we taken our chances. It was a quiet sort of start to the game with both sides looking cautious of each other but Burnley soon got to grips with things and dominated for much of the first half. Tristan Jumeau (pictured) got in our first shot at goal from distance but then we should have gone in front with a couple of decent chances that we just failed to take. Kian Yari placed a free kick right into the hands of the goalkeeper but then we finally got the lead our play deserved in the 35th minute when Yari played provider with a superb through ball for Jumeau that he finished well. We might have had a second and then Adam Bruce made his first real save just before half time, clawing an effort wide of his right hand post, but half time came at 1-0 and we could have been further ahead. Palace came back at us after the break and for ten minutes or so it looked as though it might be a difficult second half. That soon changed and we got back on top and played possibly even better than we had done before half time. Craig Ellison came close on a couple of occasions and Palace led a charmed life. One more goal and the points would, undoubtedly, have been ours. Things got a little fractious as the half went on. Palace seemed to have players going down on an almost regular basis and I did think the referee fell for their play acting a bit too often and a bit too easily. He gave them the softest of free kicks just over the half way line and that, ultimately, led to the foul in the box and him pointing to the spot. Sean Robertson, the Palace player trusted with the spot kick, and incredibly they were level. We really went for it as we moved into the seven minutes stoppage time, mainly added on for Palace players receiving treatment. Will Harris came on to provide us with an extra forward but it was all in vain and we had to settle for a point. We really needed to win this one if we wanted to have a realistic chance of finishing in the top two in the north group so in that sense today’s game was a disappointment. The performance, though, was anything but disappointing and offered a lot of encouragement, enthusiasm and positivity for the future. With so many of the team now having moved up to the under-23s, this was an opportunity for some of the others to make their mark. This morning they did just that; it was one of the best youth team games and performances I’ve seen for some time. 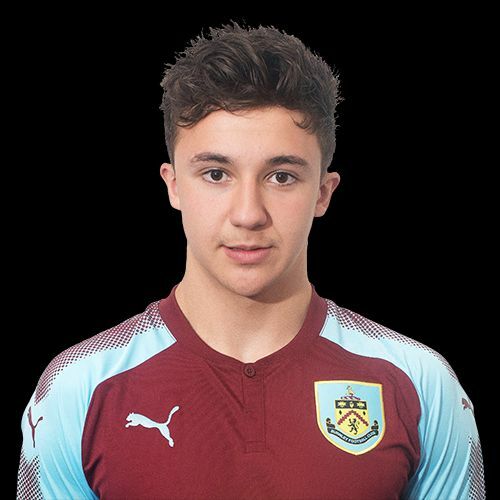 The Burnley team was: Adam Bruce, Dan Moss, Trialist, Lewis King, Anthony Glennon, Tristan Jumeau, Sam Layton, Ethan Kershaw, Marley Blair (Ne’Jai Tucker 82), Kian Yari (Will Harris 90+1), Craig Ellison. Subs not used: Harry Allen, Kwasinkosi Mpofu, Terry Mupariwa.